being a disciple of Christ! Following on from the first session, part 2 has been announced for Saturday 13th August 2016. Why not join the original members of the first session to continue the study. Here are some images from the first session. 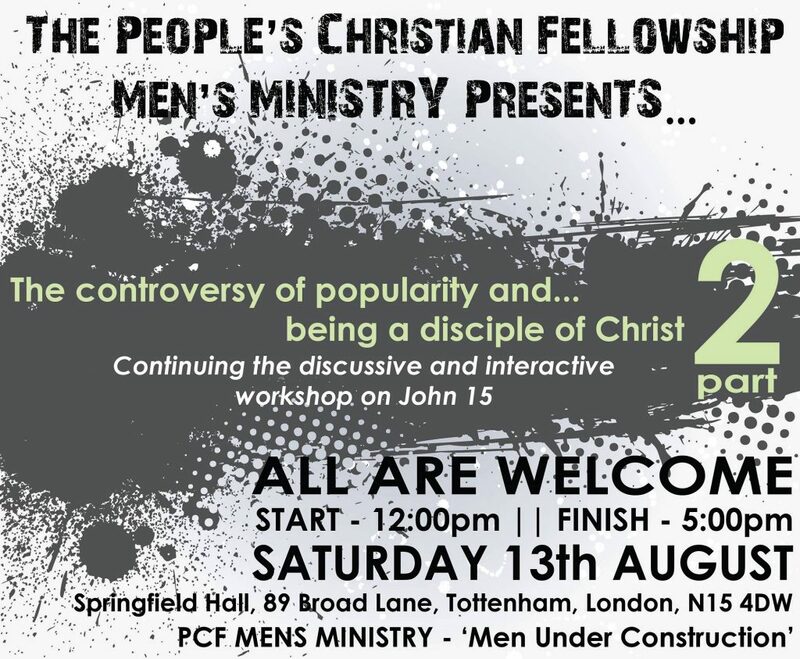 Tagged on: 2016 August Mens part 2 Seminar The controversy of popularity and being a disciple of Christ!